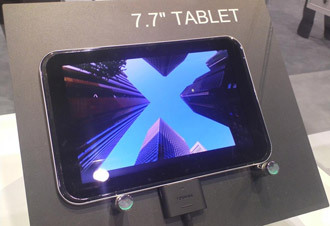 The Excite X10 might be the tablet Toshiba are using CES to shout about, with it’s competent specs and measuring in at just 7.7mm thick (making it the thinnest tablet around). But there are three other members of Toshiba’s tab family that have caught our attention, despite a certain level of mysticism surrounding them. Toshiba’s booth within the Las Vegas Convention Center is home to all manner of technological goodies this year, but what’s piqued our interest is the fact that despite Toshiba being more than happy to demo these yet unnamed devices, they don’t appear to be disclosing any real factual information on them, (not yet anyway). 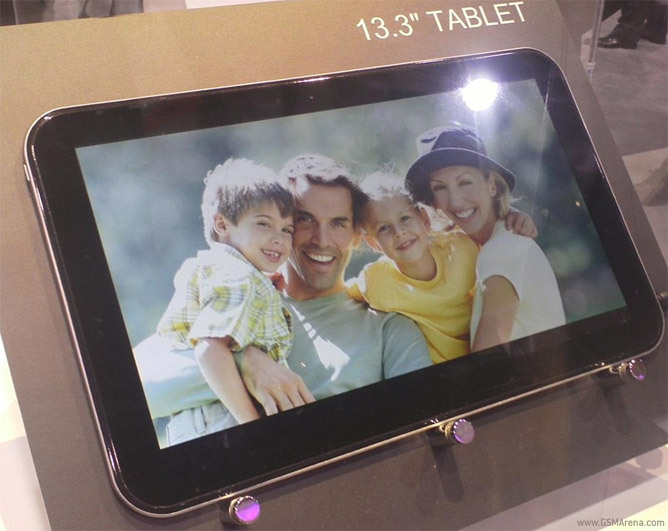 The three tablets, a 13.3″ device (above), a 7.7″ unit and a 5.1″ endowed device (below) all feature at the Toshiba booth and the team at Android Police caught sight of the three droid-based tabs pictured here. 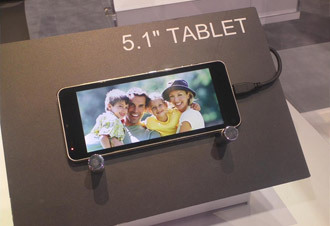 We’re particularly interested by the 5.1″ number, due to its elongated aspect ratio, but until we cast our own eyes over these devices, we can’t be sure how Toshiba intend to market them, or what secrets they may hold. Keep an eye on the blog and hopefully we’ll have time to bring you a hands on when we make it to the booth. If you think you know more about these particular tablets, let us know in the comments below, which one grabs your interest the most and why?